MMA Fighter: Get Sponsored by promoting yourself for free! 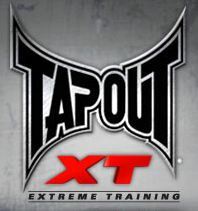 ARE YOU THE NEXT MMA FIGHTER SUPERSTAR? Are you the next MMA superstar? Why are you the next super star? Why would I pay $100 to watch you fight? Let us know and you could be featured on our homepage. And just for entering you get your own webpage right here on our site. You can have friends check it out, link to it from your facebook page, and update it when you win your next fight. It is a promotion page for you. We reach thousands of visitors monthly, so your face on the home page will get you noticed. People like to know how you got started, how you train, and about exciting knockouts or submissions. We want to to see you in action. After all pictures speak louder than words. You must add pictures to be featured on our home page.